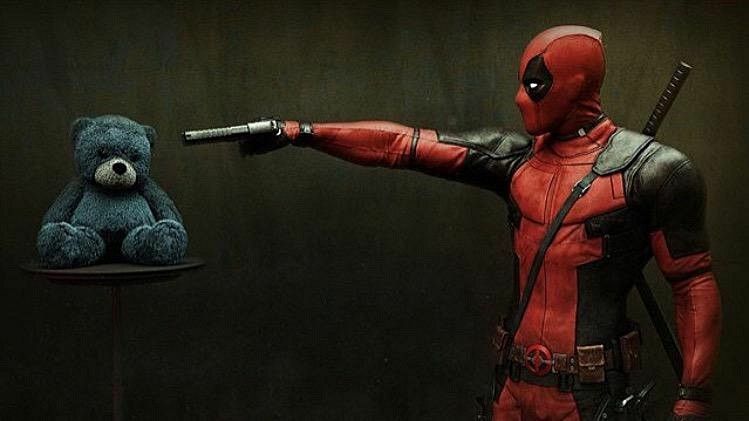 What's The Deal With Cable's Teddy Bear In That Deadpool 2 Photo? Cable's large stock of ammunition and clear signs of techno-organic virus infection are a bit distracting, but still we can't help but wonder what it is he's doing with a ragged-looking stuffed animal. It's not really an element taken from the comics -- save for a cover in the "Cable & Deadpool" series where a toddler-aged Cable clutches a stuffed Deadpool -- so fans have been left to speculate as to what it means for the character and how he will be portrayed in Deadpool 2. Perhaps Cable is punishing the Merc With The Mouth by taking away one of his favorite toys? (He did have a stuffed unicorn in the first movie.) Or perhaps Cable time traveled to the past, stole the bear from baby Wade Wilson, and is holding it hostage. There is another possibility on the table as well. In the comics, Nathan Summers has an adopted daughter named Hope, and it's not out of the question that she could somehow be included within the storyline of Deadpool 2. As Cable wages an on-going war and travels to the past to change the future, it's reasonable to believe that he holds on to the teddy bear as a gift for Hope when he returns. Of course, this is just speculation. From the aforementioned unicorn to this odd piece of early promo art, stuffed animals have oddly been established as a part of the Deadpool aesthetic -- and it does make a degree of sense. After all, the toys very much represent childhood and innocence, and they're a great contrast item to use during the R-rated adventures. We may not know specifically why Cable is holding on to a teddy bear, but from an artistic perspective we get it. Deadpool 2 is currently in production, and while we now have our first look at Josh Brolin's Cable, it may be a minute before we start to learn any more firm details about the adaptation (what with the secrecy surrounding all comic book movies nowadays). So while we wait for the blockbuster's scheduled release next year, I will pose the question to you: what do you think is going on with Cable's teddy bear? Hit the comments section below, and stay tuned for more about the film!